is a device you wear that can track your movement, count the steps you take, the calories burned, and it will even give you figures on the length and quality of your sleep. It is like a pedometer on steroids with the heart of a computer and the smarts of a game controller. 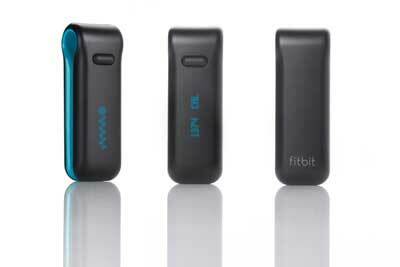 Inside the Fitbit Tracker is a motion sensor, which detects your motion in three dimensions. You strap it on your body, or simply put it into your pocket. As a pedometer, Fitbit claim an accuracy of 95-97%. Fully charged, the Fitbit should go 10 days before the battery needs to be recharged. How accurate and meaningful are the results? Fitbit claim that the results “correlate very strongly with results from polysomnograms found in sleep labs”. A big claim, and yes, while I mark this as an interesting feature, I’d rather hear more from sleep specialists before giving the claim credence. The next neat feature is how you extract data from the device. There is a LED display on the device itself, showing steps taken, calories burnt, distance travelled, plus a graphic giving you an indication of your activity level. That’s fine for on the run stats, but for analysis you want more. In the box is a base station. 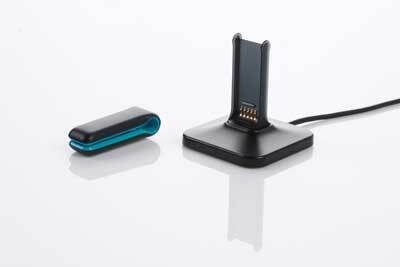 When the Fitbit Tracker is within 15 feet of the base station, the data from the Tracker automatically picked up by the base station, and with the aid of some synching software, the data is uploaded into your computer. The system will work with Windows XP, Windows Vista and Windows 7, or with Mac OS X. The data is not analysed via your computer though. You then upload the date to the Fitbit website, and using your login you can access all your data. In addition to the distance, activity levels, calories burnt and sleep data, you can then manually plug in your food intake, along with any activities such as bike riding or swimming (the Fitbit is water-resistant, not waterproof), and get a real sense of your caloric excess or debt, and overall physical wellbeing. Sorry, but we will be shipping only to the US, initially. We have to pass government certifications for wireless and product safety in each country and we are focused on passing the US tests first. 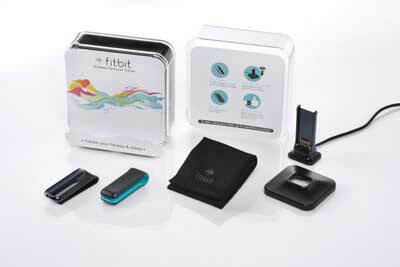 We plan on making the Fitbit available for international orders a few months after our US launch. If you watch the video from YouTube embedded below, you’ll note that the video was uploaded in September 2008. So 18 months later, it’s disappointing the availability remains limited to the USA. I’ll keep an eye on the progress of the device, and write a follow-up when the Fitbit is available worldwide. UPDATE: The Fitbit is on sale at the US Amazon store. See the link at the bottom of this page. Tour de France 2010 – it’s tech on wheels!